Do you love to sing? Have you sung in choral groups in the past or played a musical instrument? Would you like to make music a part of your life in Moscow? If so, join the Moscow Oratorio Society! 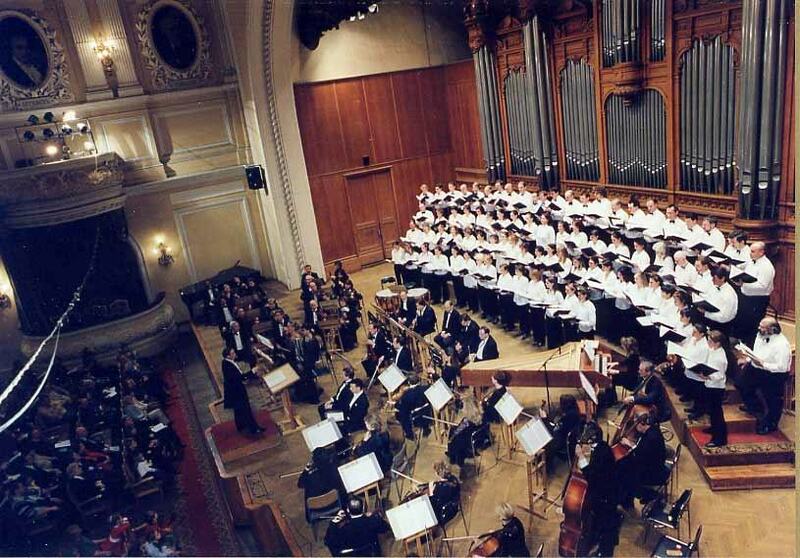 The Moscow Oratorio Society is Moscow’s oldest international choir, and is celebrating its 20th Jubilee in 2013. We present rarely performed classical works as well as popular music creatively arranged by talented young Moscow composers. Moscow audiences love our concerts, as they combine the verve of amateurs with the skills of some of Moscow’s best singers. Even though we are amateurs with varying levels of experience, with the support of our Moscow Conservatory trained artistic director Alexander Tsaliuk and a few other professional choristers, we strive for – and usually achieve! – a semi-professional sound. Our performances are unique, large-scale productions, often accompanied by a full orchestra. This year we plan an exciting production of the work that got us started in 1993 – Handel’s Messiah. Through the choir, expats and Russians have the opportunity to get to know each other and share and learn about each other’s cultures. Stressed professional workers say they enjoy exercising the other half of their brain with a rigorous Wednesday night practice. Becoming a member of the choir is a great way to gain a greater connection to the broader Moscow community. In addition to rehearsals, choir also organizes a range of social events. A summer dacha party is planned for this September 7! We understand that not everybody can come to every rehearsal and that members have a range of other personal and professional responsibilities. But we do require the commitment of each member to master his or her part. We provide assistance in the form of voice part recordings and small sectional rehearsals led by professionals. We are ambitious! Ideally we are looking for singers with previous choral or orchestral experience who have a desire to continue creating beautiful music. Everyone is welcome to attend rehearsals, but those without the ability to read music often find themselves devoting hours to the music outside of rehearsals.